You’ve seen all those lovely images of lovely, shimmering copper kitchen accessories on social media. We know our Livinator readers love a stylish kitchen! Today, we’ll take a look at some ways to get on the copper kitchen trend. 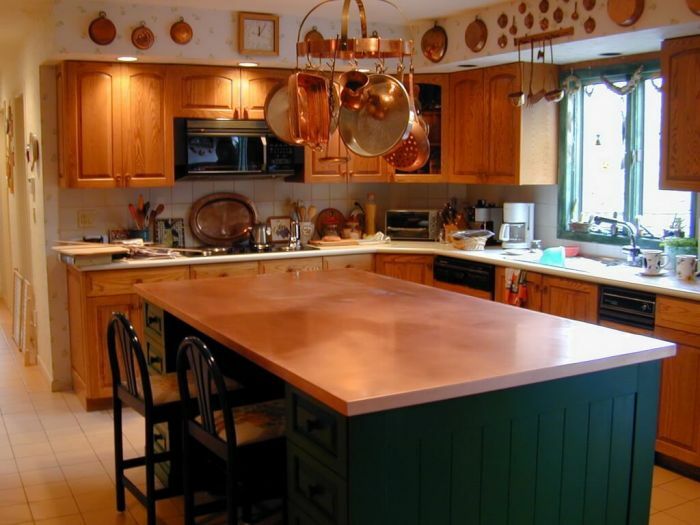 Homeowners have been using copper for centuries! 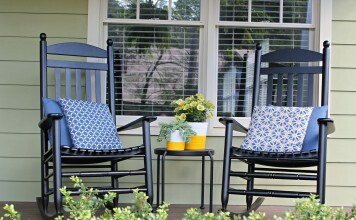 They love the durability and beauty that it lends to any room. However you use it, copper is a wise style choice. 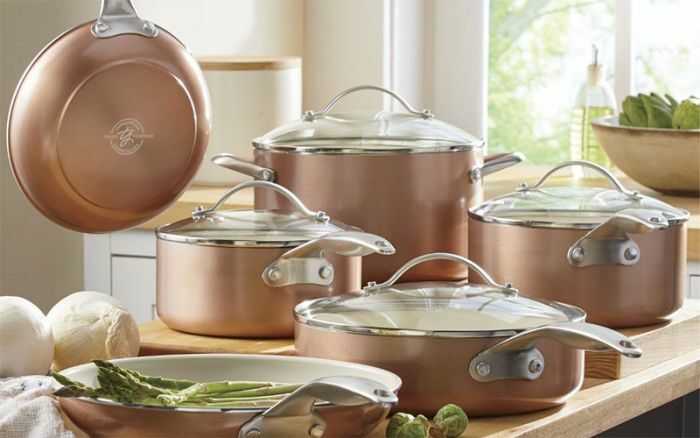 It’s a timeless, proven classic that won’t go out of style anytime soon. 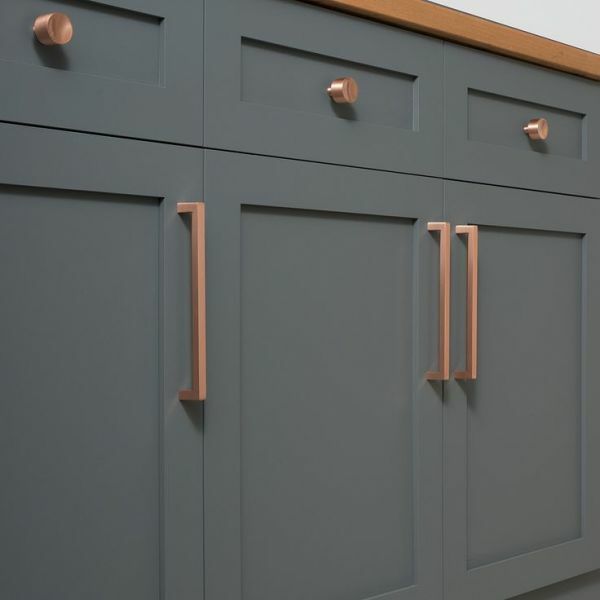 Perhaps the easiest way you can add copper is to install copper accents via your lighting. Because of the wet environment, a copper sink will gain a gorgeous patina in time. 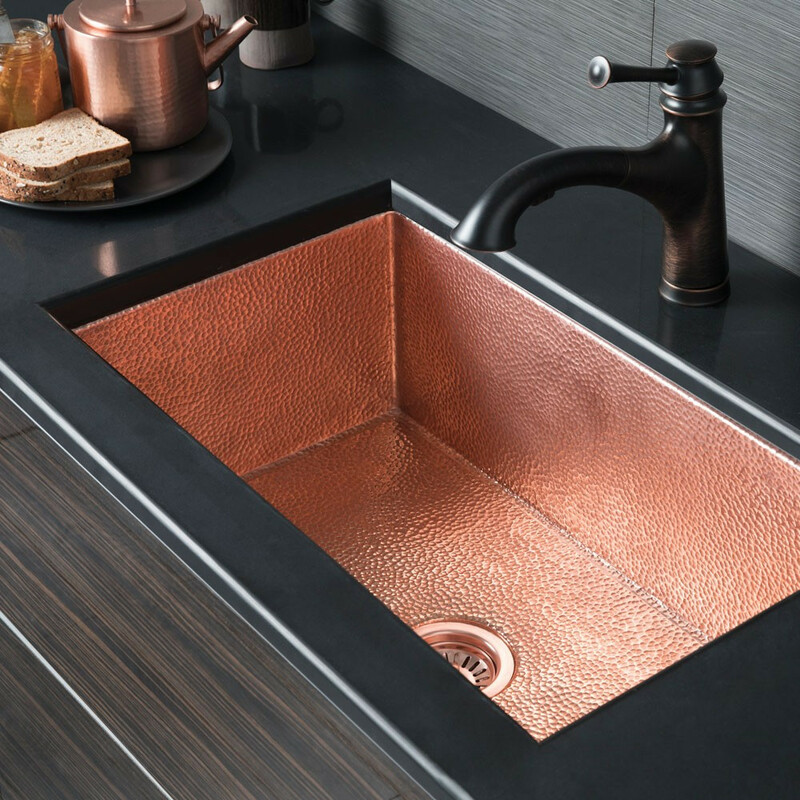 This creates a depth of color you’ll never see from other sinks. It’s easy to change out handles! 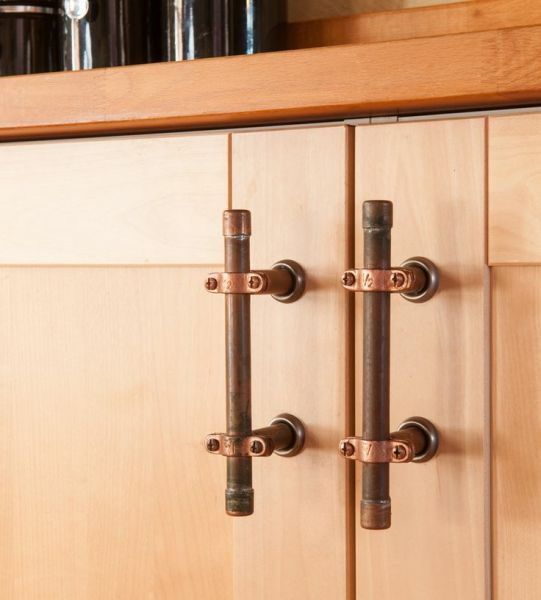 This is a quick and easy DIY that adds coppery class in just a few minutes. Another affordable way to use copper is to purchase accessories. 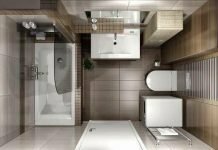 Because of the affordability, you’ll stay on budget! 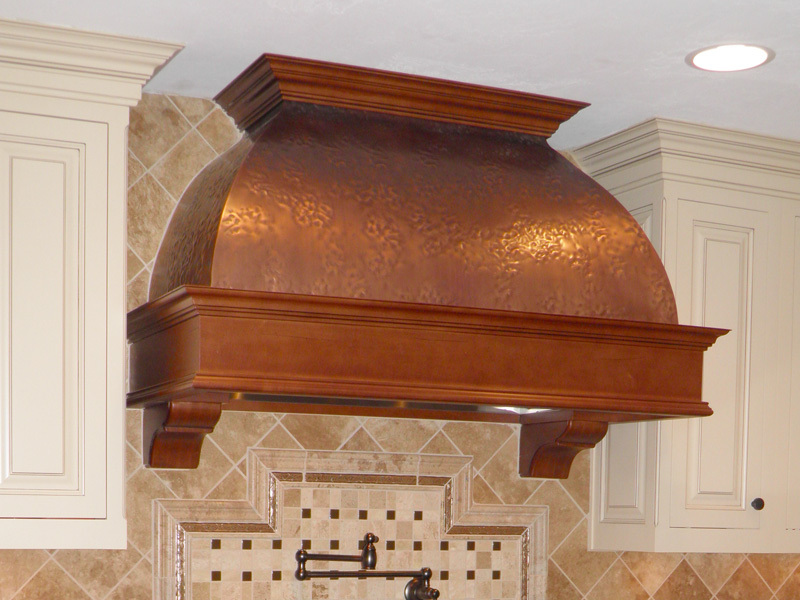 You probably won’t find a copper range hood at your local hardware store. Nevertheless, these custom-crafted hoods are stunning! 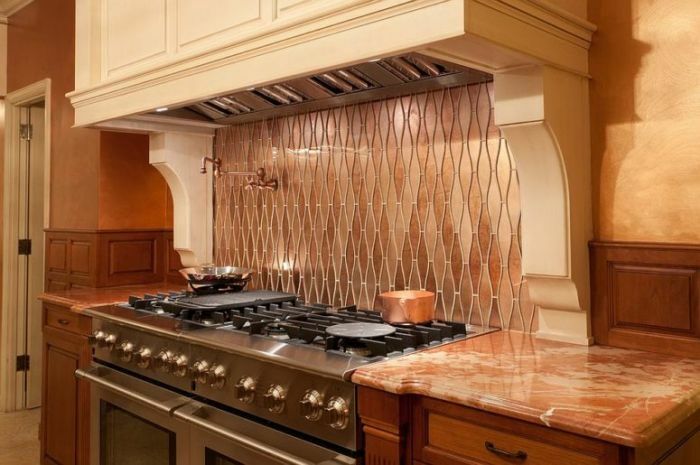 Because they are so large, a backsplash can be an impressive feature. 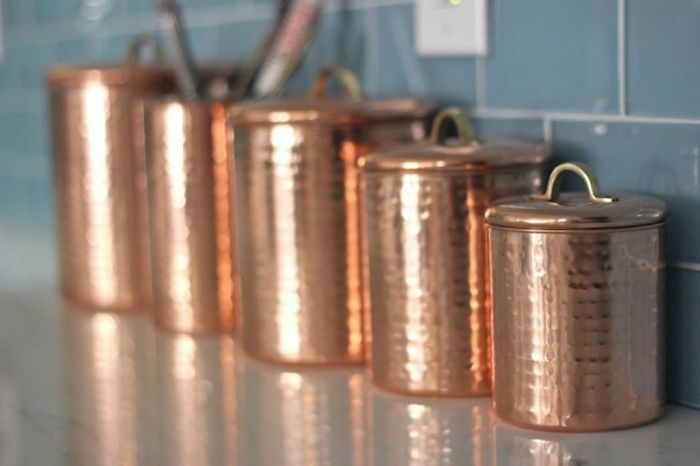 Choose copper! 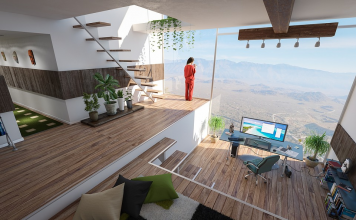 It will become the focal point. 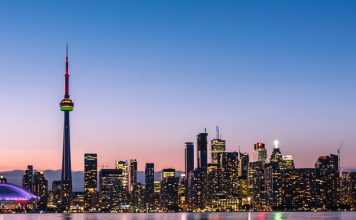 Experience true luxury! 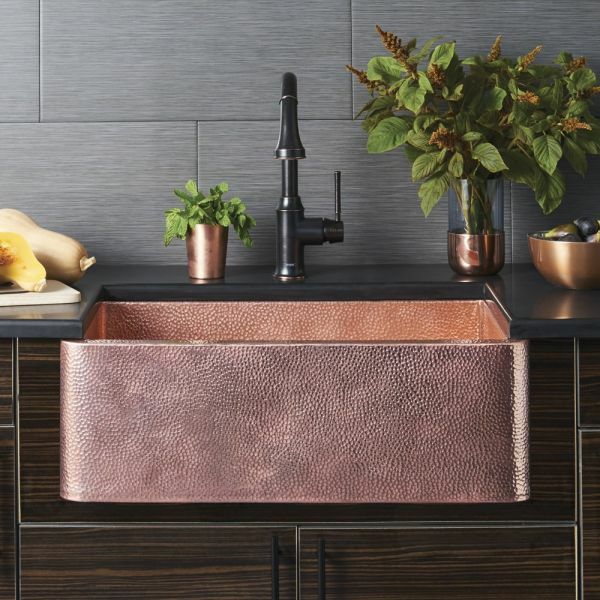 Because the copper backsplash is costly, make it a focal point. 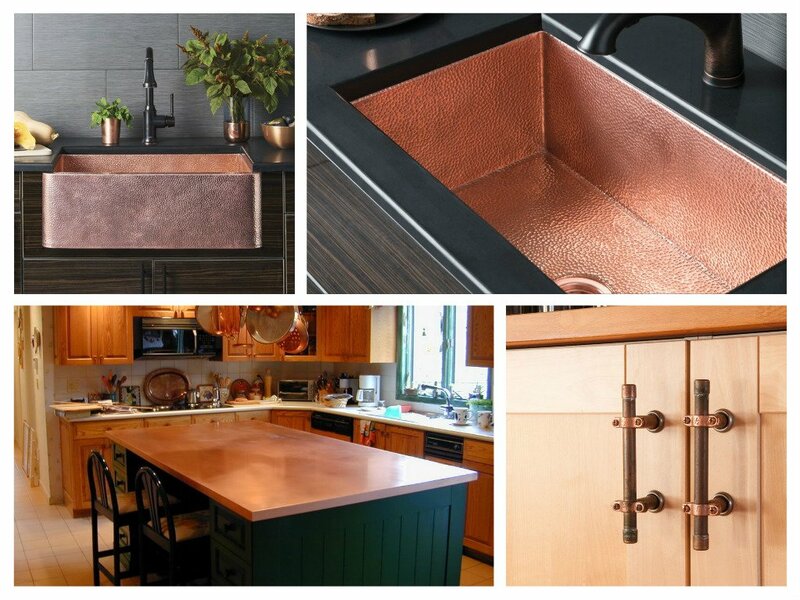 (digs digs)Get on the copper kitchen trend. 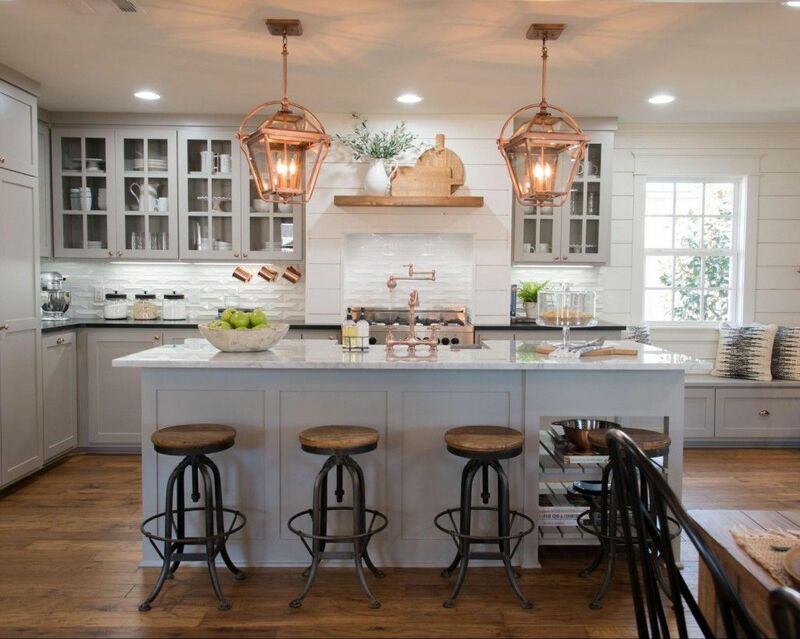 It’s here to stay and your kitchen will be on point.